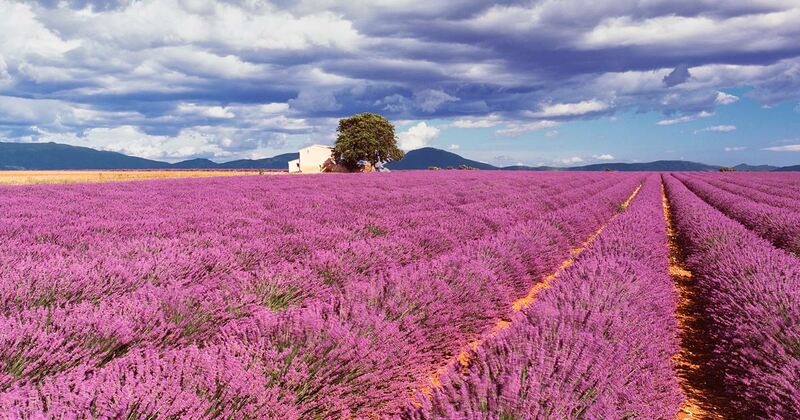 Lavender fields in bloom (Valensole and neighboring), regional park of the Luberon/regional natural park of the Verdon, panoramic route of the Savoy. Day 1: 07/12/18 Appointment at the Turin Caselle airport (TRN). Withdrawal of rental vehicles. Departure for Provence. Shooting on the road along the Savoie. Arrival at the hotel and first shooting in the lavender fields. Dinner and overnight at the hotel. Day 2: 07/13/18 All of the day dedicated to photo shootings in the lavender area. Dinner. Review of the performed work. Overnight at the hotel. Day 3: 07/14/18 Early morning shooting in lavender area. Photo excursion at Park Naturel Regional du Luberon/Park Naturel Regional du Verdon. Shooting at sunset in lavender area. Dinner. Review of the performed work. Overnight at the hotel. Day 4: 07/15/18 Early morning shooting. Breakfast at the hotel and departure. Shooting on the road on a scenic route. Arrival at the Turin Caselle airport (TRN). Return of vehicles and return flights. FLIGHTS: Flights are not included in the workshop price. As soon as the minimum number of participants is reached, the tour will be confirmed and it will be possible to purchase your tickets. Once the trip is confirmed, timetables for departures and arrivals will be given, which all participants absolutely have to follow. The organization cannot guarantee to pick up delayers or take participants to the airports before the due schedule. The arrival/departure airport is Turin Caselle (TRN). SINGLE ROOM SUPPLEMENT €155. The trip price provides for a double room treatment. A request for a single room accommodation, considering the limited vacancies, will be managed with a chronological request order and implies this supplement. The participants will always be assisted in searching for a roommate. If there are no availabilities, you will be promptly informed, and the fee from a double to a single room will change accordingly.